In the Bible, the hopelessly lame were sometimes healed by divine power. 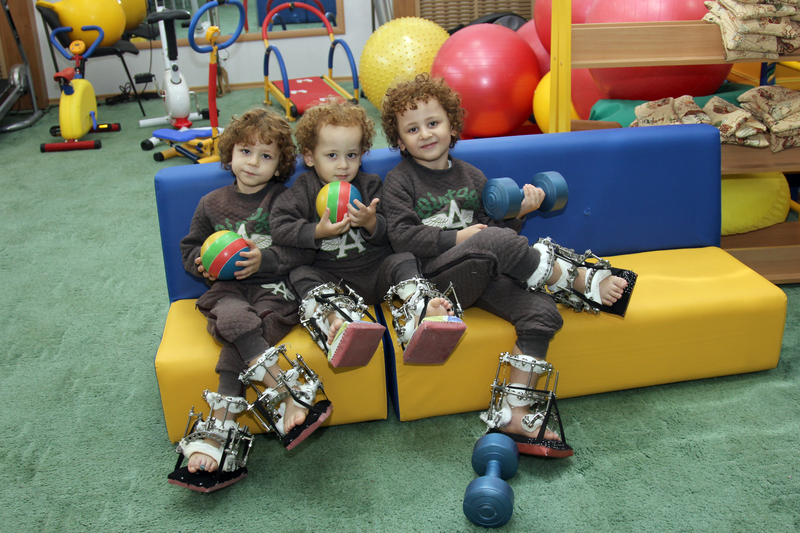 Today, the Ilizarov Medical Center is developing technologies that can do veritable miracles - correcting deformed legs faster, and replacing lost limbs with 3D-printed bones. In 2003 Stuart Green cycled from the U.K. to the Ilizarov Medical Center in Russia in order to raise awareness about a unique method that gave back his life. The Essex native suffered from many injuries and almost lost his leg following a motorbike crash. “I had head injuries, a damaged liver, punctured kidney, smashed left wrist and tibia, broken left ankle and internal injuries," Green said. His left leg was two inches shorter than the right one as a result of the accident. A special frame designed by Russian scientist Gavriil Ilizarov was drilled into his bone to allow him to walk. And so Green decided to cycle from where he “got it fitted to where it was invented." The Ilizarov Medical Center is located in Kurgan, a small town in the Ural Mountains. It carries out about 11,000 surgeries a year on patients between four months and 97 years old. The Center's doctors treat absolutely all ailments and injuries of the musculoskeletal system. Here, doctors "grow" legs on models, (the Center's record is a leg extension of 54 centimeters), train doctors from 75 countries, and even put hopeless patients, who were rejected by other clinics, on their feet. Gavriil Ilizarov was the Center's founder. In 1951 he first proposed a treatment for fractures and orthopedic diseases that is now used in more than 60 countries. In addition, he created a compression-distraction device that was later was named after him. Ilizarov's method is based on the innate ability of tissue to grow and regenerate in response to carefully calibrated strain. The method uses fixators in the form of metal needles or nails that are inserted into the bone. Such a process does not expose the fracture zone and allows one to walk with a full load on the lower limbs without the risk of displacement. The Ilizarov Center has a strong international reputation. The Ilizarov rehabilitation device is now used in Syria to treat war injuries, and the Serbian Ministry of Health officially allocates money for the treatment of patients at the Center. In the past 45 years the Center's staff was granted nearly 1,000 patents and carried out 176,000 surgeries. For patients like Stuart Green the new device invented in Kurgan is a life saver. Recently, the Center developed a system that accelerates bone growth. Micro-motors installed in the device stretch the bones automatically. The method is intended for those patients who cannot stay in the hospital, but need a slow gradual correction of complex deformities, as well as for the treatment of spinal deformities in children. "We used to lengthen the bone manually four times a day," said Dr. Alexander Gubin, director of the Ilizarov Center, in an interview with RBTH. "This is an average of 0.25 millimeters. The new system will allow for a much larger number of strains. Automated fixation allows you to stretch evenly, which improves the quality of the newly formed bone." The Center's researchers plan to monitor the treatment of patients remotely. A patient with the new automatic device can leave the clinic and go home, while doctors will monitor the process of bone elongation online. The manual method, however, will retain its status as the most reliable and time-tested, said the researchers. The Center is also testing 3D-printed implants for people who have lost limbs. "To make a prosthetic finger, for example, an individually manufactured and complex implant is placed in the bone," said Dr. Gubin. "It grows to the patient's bone. The other part of the implant comes to the surface. A silicone prosthesis that will be difficult to distinguish from a patient's own fingers is securely fitted to it. The new 'finger' will move because of the remaining bone, in which the implant is placed." So far, preclinical testing has been done on rabbits. However, the Center plans its first operations on humans as early as this year. In addition to fingers, this method can be used to implant prosthetic lower legs, hips or shoulders. Now, researchers are testing the device to minimize the risk of inflammation and poor implant survival. Even if that happens, Dr. Gubin said it will be easy to correct the problem. "In general, it is much like the implantation of teeth, which is commonplace today," he said. "In case of damage, you can simply replace it."